Water damage can spring up anywhere and everywhere at once, though no matter where it originates from it needs to be stopped dead in its tracks to avoid increased destruction and rising repairs costs, which is why our water damage Delray Beach team at 911 Restoration Miami is standing by around the clock to mobilize a team of qualified technicians out to your water emergency. With the professionals on the job, home and business owners can be sure that they have the most highly regarded water cleanup unit on the job. It is important that you never have to wait for help, so our mold removal Delray Beach staff makes themselves available to assist you literally around the clock, because our experts stay available 24/7/365. Our water damage Delray Beach team works with IICRC certified technicians in order to handle any water emergency that they are faced with. So, when you hire our techs you can rest assured that the job will get done correctly the first time around. Let our staff show you what excellent water damage remediation looks like. 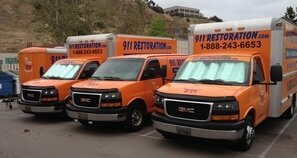 Incidents that require water damage restoration services need to be handled fast. Our team will be at the door of your area home or business quickly to remediate any of these issues, and more. So, if you have water damage or mold growth on your property and you’re not sure what to do, or you just have questions s about these issues, give our team a call today! Our experts know from many years of experience that any quantity of water that is allowed to pool or any amount that comes into contact with porous surfaces has the potential for mold growth. Mold growth needs to be taken seriously, as it can pose many dangers to the health of you and your family. Some of the more serious complications that can result from mold are allergies, mildew growth, insects and structural issues of the property. Our professionals know that mold may not seem like a big concern, but in reality, it’s actually a serious health hazard that needs attention our professionals. The reason it is so important to get fungi mitigated from your property is that the longer you breathe in the spores, the more of a health risk your home becomes. 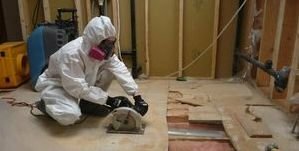 Our mold removal Delray Beach staff want home and business owners to be aware of the symptoms that prolonged mold inhalation can cause, which include wheezing, asthma, skin rashes, itchy eyes, coughing, sneezing and headaches. Our technicians know how to properly clean up even the most severe mold situations without contaminating the unaffected areas of the home or ourselves. It is important to reach out to our technicians as soon as you begin noticing any of the above-mentioned symptoms, so our water damage Delray Beach pros can get started on repairing your property. Coastal cities like Delray Beach, Florida, are even more susceptible to mold given their close proximity to water and as a result, increased moisture. So, if you already have mold growing in your home or if you want to know what to do to avoid mold growth, give our experts a call today! Along with trying to comprehend the technical side of the water damage remediation work, home and business owners also need to figure things out on the financial end. Our experts aim to make things go as smooth as possible, so on top of offering consistently affordable prices, our mold removal Delray Beach pros also work with all insurance companies. It can be difficult to understand exactly what your policy offers in terms of coverage, so our agents will go over everything with you, even filing your claim for you, if need be. Keeping your out of pocket expenses low is important to us. Our techs know that keeping costs down is crucial to you being able to afford the mitigation work you need, so our staff members make it a priority to guide you through the paperwork. Avoiding mold at all costs is important because according to our experts, common issues like pipe bursts and water heater leaks are usually covered by homeowner’s insurance coverage while complications that result from such damage like mold usually are not. 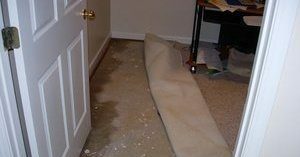 Dealing with water damage and mold in a swift manner is recommended because based on data provided by the Insurance Information Institute, water damage and related incidents are the second most frequent form of loss claimed by homeowners. That means that a water disaster can happen to anyone, even you. Lucky for our Delray Beach area customers, no matter how your leak or flood damage originated, our water damage Delray Beach professionals are standing by around the clock to make it go away. We’ll file your claim and help you get any additional coverage you need for your service area. Plus, because we’ve been working with all insurance companies for so many years, our specialists always provide our customers with the most affordable rates in the industry for all non-covered water damage. 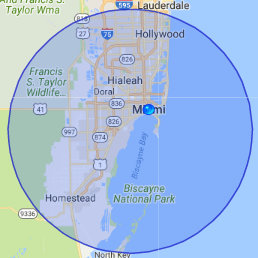 When it comes to water damage restoration and insurance claim assistance there’s only one place to go when you want the best, so don’t wait any longer and call our water damage Delray Beach team with 911 Restoration Miami today!